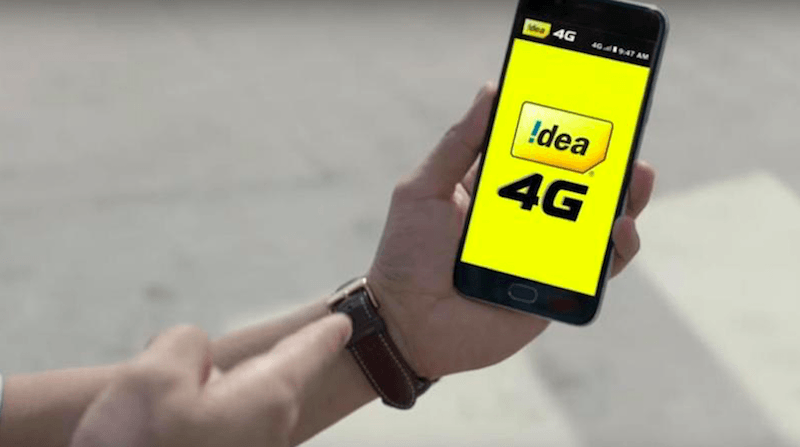 As Vodafone Idea Limited works upon its plan of expansion of the 4G network, the newly merged telco has finalised contracts for equipment deployment with Chinese equipment vendors Huawei and ZTE. This has come at the cost of lower purchase orders for the European equipment vendors like Nokia and Ericsson. This move has happened in the light of Vodafone Idea Ltd focusing on lowering the costs As per a report by ET, the battle for the overall contract which was worth $1.3-1.4 billion (Rs 9,230-9,940 crore) was between Chinese vendors and European vendors. Now that the contract has been signed, it is clear that the Finnish vendor Nokia and the Swedish vendor Ericsson will now amount for around 65% of total equipment deployment, whereas Chinese vendors ZTE and Huawei will take care of the rest 35% of the equipment supply for the telco. People aware of the matter had remarked that this change in collective composition down from 80% which was the figure before for European vendors came down as Chinese vendors offered better pricing and flexibility in payment terms for Vodafone Idea. On the other hand, Nokia and Ericsson were adamant on payment right after deployment and also quoted higher prices. The telco which finalised its merger late in August has been on a fast track execution with the clock ticking. The telco had also reported heavy losses in its recent quarterly report, and to improve its financials the company now seeks to expand its 4G coverage in the country while it competes with the former market leader, Bharti Airtel and the Mukesh Ambani led telco, Reliance Jio. Not only this, but Vodafone Idea has also expressed that it would transition its 2G and 3G spectrum for 4G network. As per this new report of contract, this is undoubtedly a step-up game for Chinese vendors ZTE and Huawei as currently, they were supplying equipment for Vodafone Idea in three and seven circles respectively. However, now the vendors will be providing equipment for VIL in a total of 12 circles, with Huawei taking over seven circles and ZTE taking over five circles. On the other hand, Nokia and Ericsson bagged nine and eight circles respectively for providing equipment to the telecom market leader. Huawei also bagged the Delhi and Chennai metro circles, where Ericsson did not get any. Nokia which was previously the equipment provider for Chennai circle now bagged the Mumbai and Kolkata metro circle along with sharing the Tamil Nadu circle with Huawei. Balesh Sharma, CEO of Vodafone Idea also spoke to analysts about the company’s Rs 14,000 crore synergy for capex and costs which it plans to utilise in the coming two years. He also told that the company has finalised its vendors for circles and zones. It’s also worth noting that for Chinese vendors, ZTE and Huawei it is a big win as the two equipment providers had been facing a backlash from select developed economies over security concerns and the revenues for the providers were also drying up with quick market consolidation in the telecom sector. I question : vil and Bharti Airtel konsa vendor use karta hain wb aur Kolkata me? VIL Nokia. Airtel don’t know. Probably ZTE or Huawei. It’s ZTE. BSNL also uses ZTE for eastern, north east region. It will be replaced soonby Nokia. Airtel is slow in all important centres in Indore. They rushed in 4G+ not to raise speeds but to manage congestion. Huawei has some good 4G tech, their 3G core was very good for voice quality, speed and coverage as I have seen in old RCom networks. Now ZTE is more average, but you know, it’s not really worse than Ericsson. VIL dont hv money to buy decent network gear so they gone for cheap chinese network equipment makers its clear by justifying here that its gud y wasnt it was deployed before . u r over exposing urself that u r a typical idea vodafone fanboy. Why is ZTE expecting a good FY2018 based on massive orders from Airtel? Because Airtel is also cheap Chinese crap by your logic! So basically, you prefer Chinese BSNL and Chinese Airtel…. And talking about cheap Chinese equipment. lol…..